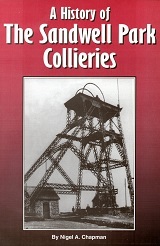 This book is a study dedicated to mining in South Staffordshire . Their development was down to a visionary mining engineer, Henry Johnson, whose steadfast belief that there was coal below the sandstone on the Earl of Dartmouth's estate led to the establishment of the collieries. Maps, BW photographs and extracts from original documents complete the study.